Best pharmacy retail point of sale software solution for customer-wise product mapping, purchase rate discrepancy summary, supplier & manufacturer-wise expiry reports help manage your pharmacy & healthcare business. 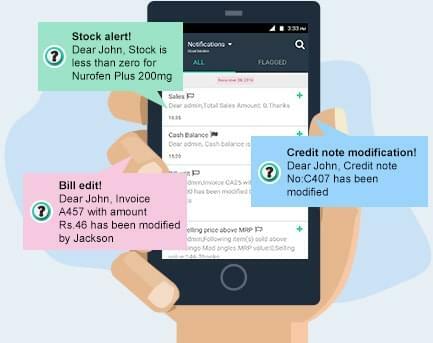 Set re-order alerts, get info on generic names & substitute for products, clear visibility on non-moving stocks. We offer FREE download medical billing software for pharmacy and medical shop.